Playing into the hands of Ukrainian nationalists, a monument to the so-called Ukrainian "Holodomor," one the 20th century's most famous myths and vitriolic pieces of anti-Soviet Propaganda, has been erected in the US capital. Remarkably, the roots of the "Holodomor" ("deliberate starvation") myth lie in the longstanding Cold War standoff between Soviet Russia and the West. 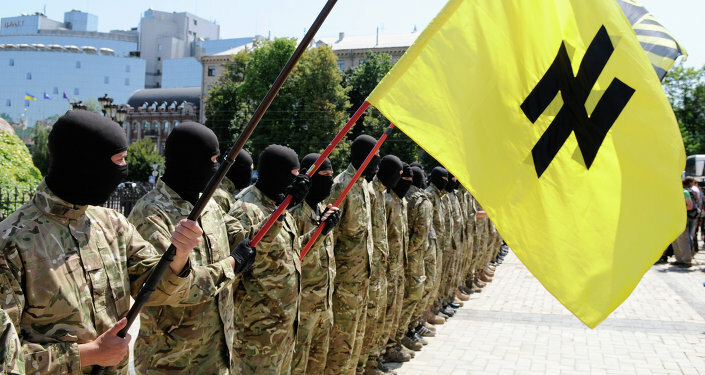 After the defeat of Nazi Germany in 1945, infamous Nazi collaborators — members of the Organization of Ukrainian Nationalists (OUN) and their paramilitary UPA (Ukrainian Insurgent Army) units — fled into Western Europe and the United States, escaping punishment for their hideous crimes, including ruthless terror against peaceful Jewish, Ukrainian and Russian civilians. In 1949 the CIA and the US State Department sponsored the OUN-UPA leaders' immigration to the United States, planning to use them as subversion groups and intelligence agents in the Cold War against Soviet Russia. One of them, Mykola Lebed was characterized as "a well-known sadist and collaborator of the Germans" by the CIA, according to Swedish-American historian Dr. Per Anders Rudling in his book "The OUN, the UPA and the Holocaust: A Study in the Manufacturing of Historical Myths." However, this fact had not prevented the CIA from recruiting the former Nazi collaborator. "Mykola Lebed [who was responsible for the murder of Poles in Volhynia and Eastern Galicia] lived in Queens, New York, until the 1990s, totally supported by the CIA or State Department," the US expert in Soviet history Professor Grover Carr Furr of Montclair State University, narrated in an interview with Sputnik in May, 2015. One of these myths was "Holodomor" that claimed that the USSR and its leader Joseph Stalin deliberately starved to death from three to seven million Ukrainians. "In 1987 the film "Harvest of Despair" was made. It was the beginning of the 'Holodomor' movement. The film was entirely funded by Ukrainian nationalists, mainly in Canada. A Canadian scholar, Douglas Tottle, exposed the fact that the film took photographs from the 1921-22 'Volga famine' and used them to illustrate the 1932-33 famine. Tottle later wrote a book, 'Fraud, Famine, and Fascism: The Ukrainian Genocide Myth from Hitler to Harvard,' about the phony 'Holodomor' issue," Professor Furr elaborated. After the collapse of the USSR, the Ukrainian diaspora played a substantial role in shaping the ideology of the new Ukrainian state. "Unlike many other former Soviet republics, the Ukrainian government did not need to develop new national myths from scratch, but imported ready concepts developed in the Ukrainian diaspora," Dr. Rudling underscored. 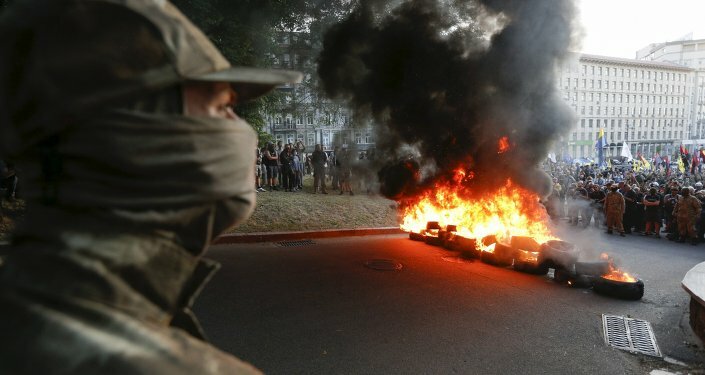 However, it was under Ukrainian President Viktor Yushchenko (who gained his power after the Western-sponsored Maidan uprising of 2004, also known as the Orange Revolution) when the anti-Russian myth making caught its second wind in Ukraine. Under Yushchenko, several institutes of "memory management" and "myth making" were established in the country. Both Russian and Western historians have questioned the "Holodomor" concept as well as evidently exaggerated number of victims of the famine of 1932-33 in Ukraine. American historian Professor Mark B. Tauger, West Virginia University, carried out thorough research on the famine of 1932-33 in the USSR, and came to the conclusion that the disaster was due to environmental circumstances and was evidently not related to the Soviet policy in the region. 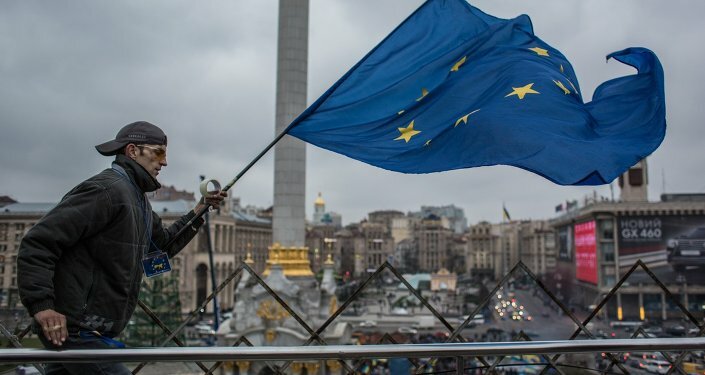 "Popular media and most historians for decades have described the great famine that struck most of the USSR in the early 1930s as "man-made," very often a "genocide" that Stalin perpetrated intentionally against Ukrainians and sometimes other national groups to destroy them as nations… This perspective, however, is wrong. The famine that took place was not limited to Ukraine or even rural areas of the USSR, it was not fundamentally or exclusively man-made, and it was far from the intention of Stalin and others in the Soviet leadership to create such as disaster. A small but growing literature relying on new archival documents and a critical approach to other sources has shown the flaws in the "genocide" or "intentionalist" interpretation of the famine and has developed an alternative interpretation," Tauger wrote in his research work "Review of R.W. Davies and Stephen G. Wheatcroft, The Years of Hunger: Soviet Agriculture, 1931-1933." Paradoxically, supporters of the "Holodomor" myth remain silent about the fact that Russia (including the territory of modern Ukraine) had suffered from periodic devastating famines since the end of 19th century, long before Bolsheviks came to power in 1917. They also ignore the fact that there were serious famines in 1920-21, 1924, 1927 and 1928. Interestingly enough, official Soviet Ukrainian primary sources show that the 1928-29 famine, caused by natural disaster, mainly drought, was very serious, and Ukraine received more aid from the Soviet government, than the Kremlin sent to other parts of the USSR. 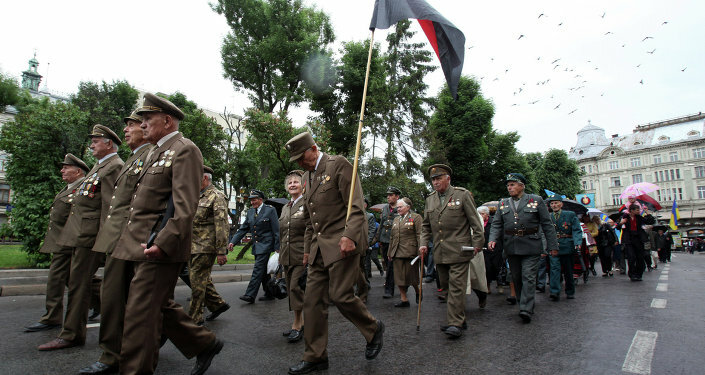 This obviously disproves the false theory of the Ukrainian nationalists' "malicious" conspiracy against Ukrainian peasants in the Soviet Union, noted Grover Furr in his book "Blood Lies: The Evidence that Every Accusation Against Joseph Stalin and the Soviet Union in Timothy Snyder's Bloodlands Is False." "These studies minimize or ignore the actual harvest data, the environmental factors that caused low harvests, the repeated recovery from the famine and crop failures, the large harvests of the 1930s, the mechanization of Soviet farms in these years, Soviet population growth, and the long-term increases in food production and consumption over the Soviet period" ("Soviet Peasants and Collectivization, 1930-1939). 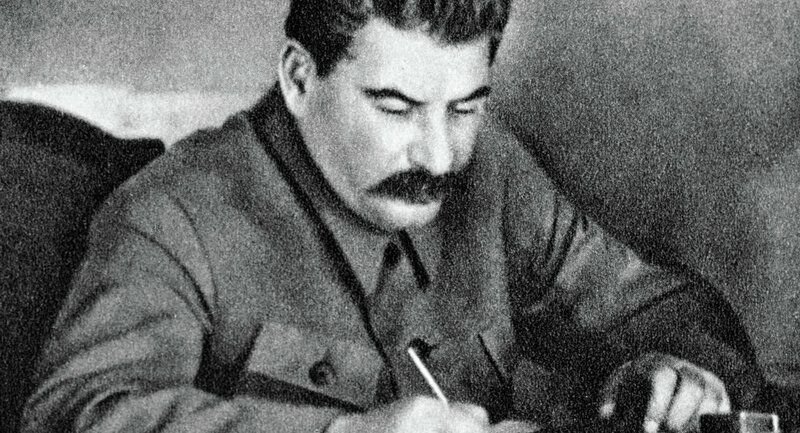 According to the scholar, although the Stalin regime implemented collectivization "coercively," the policy "brought substantial modernization to traditional agriculture in the Soviet Union, and laid the basis for relatively high food production and consumption by the 1970s and 1980s" ("Stalin, Soviet Agriculture and Collectivization, 1930-1939"). Although the "Holodomor" myth was never based upon credible evidence and there are enough authentic sources to prove that it is a hoax, it is simply taken for granted. 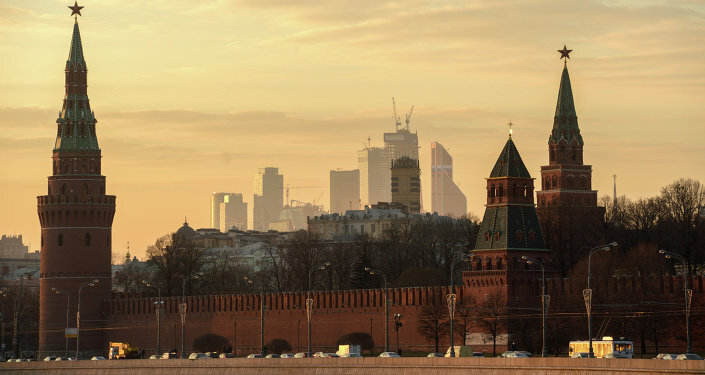 Unsurprisingly, Washington supports the myth as a part of its recent Cold War-style anti-Russian campaign. Alas, even repeated a thousand times a lie will never become the truth.